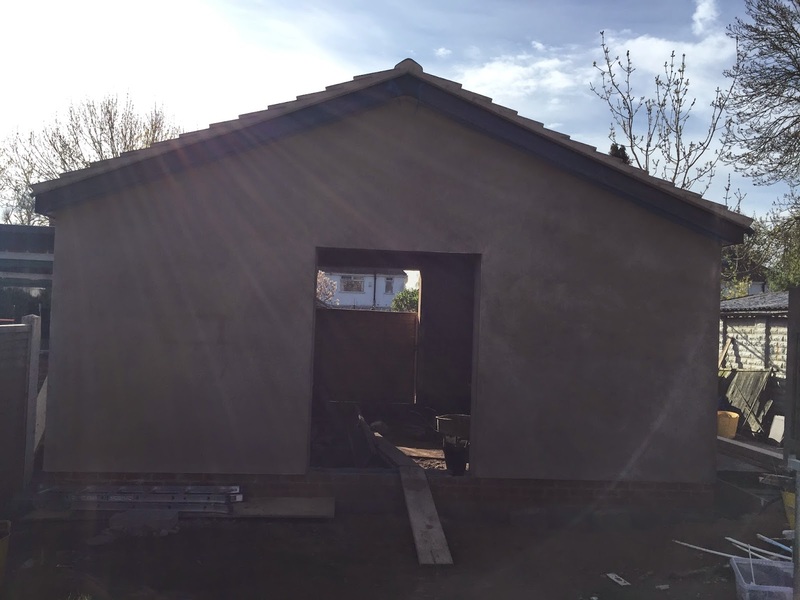 As per my previous post the workshop now has a roof, the walls are rendered and I have soffits and facia's. The Printrbot build is now completed and I have done some test prints, although I am yet to use it in anger. The design has pretty much been finalised on the frequency standard project and I have most of the parts ordered. The battery tab welder is progressing nicely, just waiting for a few parts to arrive and i can start the build. Other than a bit of light research no progress so far on designing my lab programmable DC load. The OneTesla Tesla Coil kit is still sat in the box. Pour the workshop floor and hopefully get some doors fitted. Finish designing and start assembly of my battery tab welder. Finish designing and start building my lab frequency standard project. Build my OneTesla Tesla Coil kit. Start designing a USB phone charger run off Makita batteries. Hopefully I will make my way through a few more of the items than last month!